Circadian rhythms are physical, mental, and behavioral changes that follow a 24-hour cycle, responding primarily to light and darkness (National Institute of General Medical Sciences, 2018). They regulate periods of sleepiness and wakefulness through day/night. Circadian rhythm dips and rises at different times of the day. In this article, we will investigate the research and practical knowledge of picking the right time of day to train in order to get maximum benefit from the workout. Understand what circadian rhythms are as they relate to human performance and fitness. Understand how training can be enhanced by choosing the best time of the day to train. Explain the research showing that the best sports and fitness performances are performed in the afternoon and early evening. Circadian rhythm is a 24-hour internal clock that is running in the brain and cycles between sleepiness and alertness at regular intervals. A part of the hypothalamus called the suprachiasmatic nucleus (SCN) controls the circadian rhythm (Teo, Newton, and McGuigan, 2011). The SCN receives information about incoming light from the optic nerves, which relays information from the eyes to the brain and coordinates biological rhythms such as hormone secretion, temperature fluctuation, and neural activation (Hastings and Herzog, 2004). At night, in the darkness, the eyes send a signal to the hypothalamus that it is time to feel tired. The brain sends a signal to release melatonin, a hormone that makes us tired. This is why the circadian rhythm coincides with the cycle of daytime and nighttime. Circadian rhythms help determine our sleep patterns. Generally, peak performances occur in the late afternoon/early evening, at the peak of core body temperature. An increase in core body temperature increases energy metabolism, improves muscle compliance, and facilitates actin-myosin cross bridging. It is suggested to have a long, active warm-up for early morning workouts, or when training in cold environments to increase body temperature prior to competitions or training (Teo, Newton, and McGuigan, 2011). Arnett (2001) and Martin and Thompson (2000) investigating swimmers, and Atkinson, et al., (2005) and Edwards, et al., (2005) did research with cyclists, and all demonstrated improved performances and higher V02max in the late afternoon. The increase in performance was correlated to higher body temperature. Body temperature was consistently higher later in the day. Kline, et al., (2007) and Martin, et al., (2007) investigated swimmers, Bessot, et al. (2007), Bessot, et al., (2006), Giacomoni, et al., (2006) and Souissi, et al., (2007) researched cycling and Wingate testing, and Pereira, et al., (2011) and Teo, et al., (2011) investigated resistance training and plyometrics and found anaerobic fitness, strength, and power to be significantly higher during the later part of the afternoon and early evening. These increases in performance are correlated to an increase in body temperature, but these studies also show an increase in neural drive (nervous system is more efficiently communicating with the muscles and is able to produce greater force) and better coordination between agonist-antagonist contractions. Reilly, et al., (2007) investigated soccer skills and found ball dribbling improved and shot accuracy increased later in the day. Edwards, et al., (2005) did research with racquet sports and a consistent finding was an increase in serve velocity and handgrip on the racquet during the late afternoon. All the studies that were cited show improved performances in the late afternoon and/or early evening. These findings are consistent for swimming and cycling performance, V02max, Wingate testing, resistance training, plyometrics, anaerobic fitness, soccer skills and racquet sport serve velocity. Most assuredly, the results of these studies can be transferred to fitness training. As such, if a client is not getting the results he or she wants, perhaps it would be prudent to suggest training at a different time of day. Arnett M.G. (2001). The effect of a morning and afternoon practice schedule on morning and afternoon swim performance. Journal of Strength and Conditioning Research, 15(1), 127-131. Atkinson G., et al., (2005). Diurnal variation in cycling performance: influence of warm up. Journal of Sport Sciences, 23(3), 321-329. Bessot N., et al., (2006). The effect of pedal rate and time of day on the time to exhaustion from high intensity exercise. Chronobiology International, 23(5), 1009-1024. Bessot N., et al., (2007). The influence of circadian rhythm on muscle activity and efficient force production during cycling at different pedal rates. Journal of Electromyography and Kinesiology, 17(2), 176-18. Edwards B., et al., (2005). Effect of time of day on the accuracy and consistency of the badminton serve. Ergonomics, 48(11-14), 1488-1498. Edwards B.J., et al., (2005). Can cycling performance in an early morning, laboratory-based cycle time-trial be improved by morning exercise the day before? International Journal of Sports Medicine, 26(8), 651-656. Giacomoni M., et al., (2006). Effects of the time of day on repeated all-out cycle performance and short term recovery patterns. International Journal of Sports Medicine, 27(6), 468-474. Hastings M.H., and Herzog E.D. (2004). Clock genes, oscillators, and cellular networks in the suprachiasmatic nuclei. Journal of Biological Rhythms, 19(5), 400-410. Kline C.E., et al., (2007). Circadian variation in swim performance. Journal of Applied Physiology, 102(2), 641 649. Martin L., and Thompson K. (2000). Reproducibility of diurnal variation in sub-maximal swimming. International Journal of Sports Medicine, 21(6), 387-392. Martin L., et al., (2007). Diurnal variation in swim performance remains, irrespective of training once or twice daily. International Journal of Sports Physiology and Performance, 2(2), 192-200. Pereira R., et al., (2011). Variation of explosive force at different times of day. Biology of Sport, 28(1), 3-9. Reilly T., et al., (2007). Diurnal variation in temperature, mental and physical performance, and tasks specifically related to football (soccer). Chronobiology International, 24(3), 507-519. Souissi N., et al., (2007). Effect of time of day on aerobic contribution to the 30-s Wingate test performance. Chronobiology International, 24(4), 739-748. Taylor K., et al., (2011). Warm-up affects diurnal variation in power output. International Journal of Sports Medicine, 32(3), 185-189. Teo, W., Newton, M. J., & McGuigan, M.R. (2011). Circadian rhythms in exercise performance: Implications for hormonal and muscular adaptation. Journal of Sports Science and Medicine, 10(4), 600-606. National Institute of General Medical Sciences. (2018). Circadian Rhythms. Retrieved from: http://www.nigms.nih.gov/Education/Pages/Factsheet_CircadianRhythms.aspx. 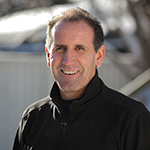 Mike Bracko, EdD, is the director of Dr. Bracko’s Fitness and the Hockey Institute, and is a fitness educator, hockey skating coach, writer, and back injury prevention expert. Mike holds a doctoral degree in exercise science. He works with hockey players, industrial workers, and fitness professionals to improve performance and prevent injury. Mike is the author of 28 DVD’s and CD’s ranging in topics from Body Leverage Training, Ultimate Back Exercises, Lateral Training, Back Injury Prevention, and Safe Lifting. Maximizing Fat Loss: Continuous or Interval Training? The Secret to Fitness Is in the Bedroom – Sleep! Metabolic Training: Do We Really Need Cardio?